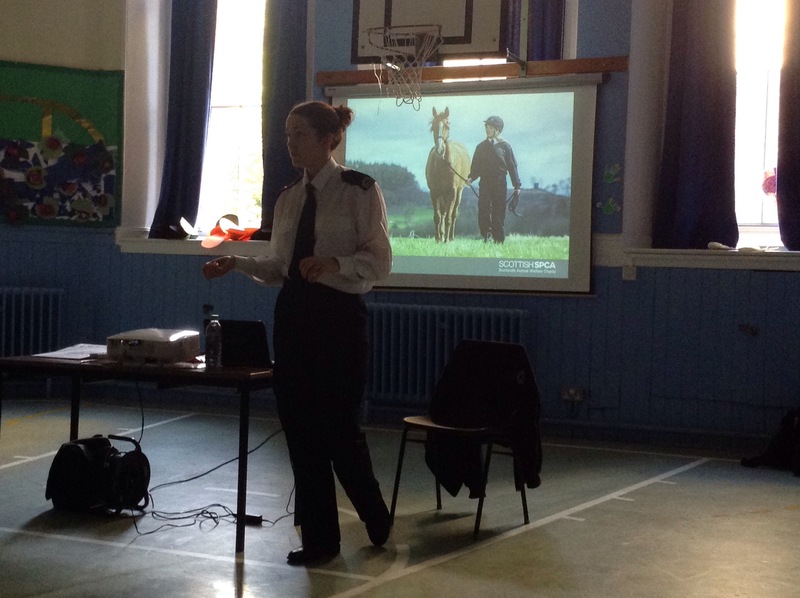 Today Siobahn from the SSPCA came to talk to us about her job. We found out what happens when an animal is injured or has been neglected. Siobahn also told us that anyone who is cruel to an animal or doesn’t look after them carefully can be taken to court and may be banned from owning animals ever again. The most important thing we learned was that the SSPCA is different from the RSPCA. The SSPCA only respond to calls from Scotland while the RSPCA only deal with calls in England and Wales. This entry was posted in Primary 6 and tagged SSPCA on 28/09/2015 by Mr Martin- Principal Teacher.